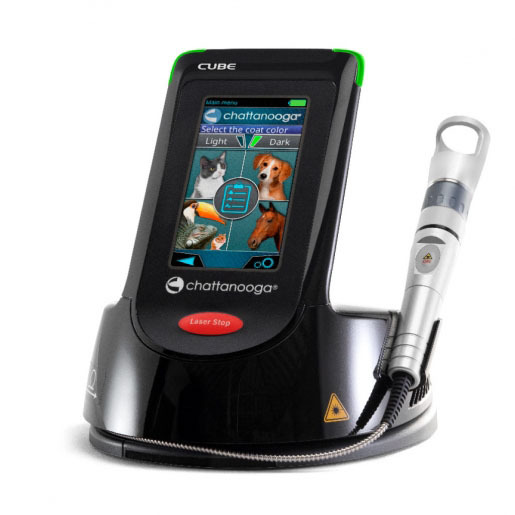 The Cube™ VET is made by Eltech K-laser and sold by Chattanooga. This system is the laser that made the name K-laser famous as the premier laser in the Protobiomodulation world. For many years, K-LaserUSA® built their reputation on delivering these top-quality Italian-made masterpieces. Then in 2018, K-laserUSA blew it and lost their contract to sell any Eltech K-laser products. K-LaserUSA now sells a laser made China (with all the problems that we typically see from China lasers) and Chattanooga sells the "real" K-Laser. The Eltech K-laser Cube VET systems are Italian-built class 4 therapeutic laser devices that offer 3 or 4 different wavelengths simultaneously or independently. The Cube VET is an incredibly well designed piece of equipment that is already used all over the world. (We also sell the human version of the Eltech K-Laser Cube. In addition to being the highest quality laser you can buy, this system includes the widest range of accessories of any class 4 system. With their proprietary interchangeable heads, you can focus the beam from 15mm ( for acupuncture and trigger point) to 40mm with their large head, you can also do unattended therapy with their extension plus kit. No other class 4 does acupuncture, standard therapy and unattended therapy. The Cube VET is also one-of-kind system because they allow up to 12 phases in one therapy protocol . 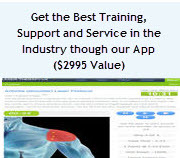 This means that selecting a single protocol from the internal protocol library can execute even the most advanced combination of CW and pulsing in any any wavelength. The means that a single protocol can start out in continuous wave mode with all 3 or 4 wavelengths on for 30 seconds followed by 5 HZ pulsing at 810nm for another 40 second followed by 10 other specific setups. No one else in the industry has this level of control. The internal protocols include horses, dogs, cats and exotic animals. This WiFi enabled system also allow for animal tracking and automatic updates of software. As a option, doctors can track treatment parameters and track their dosage and other settings on the laser. The system always displays both peak power and average power so you always know the truth of how quickly the system is delivering dosage. Many competing systems interchange these 2 specs and do not show the deliver rate when the laser is pulsing (which is most of the time) to make people believe their systems are more powerful than they really are in use. The spec on the K-Laser Cube shows the the combined delivery rate which means these systems deliver 15 or 20 joules per second even while pulsing. Most the competing 30 watt systems (which sell for $30K to $45K) only deliver 15 joules per second when pulsing so people pay too much for a lower quality laser because they do not understand the specsmanship. This is just another reason why the Eltech K-Laser Cube is the 'gold standard' of lasers. This version has internal protocols for animals. Click here to see The Cube that contains internal protocols for humans. If you would like to learn more about lasers from an independent source, call us at 1-800-388-0850.